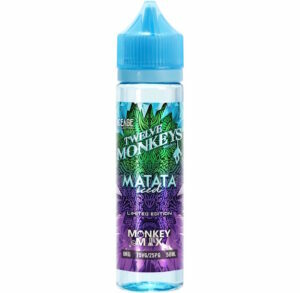 Twelve Monkeys Vapor Co hit the UK market in 2015, and became an almost immediate sensation. With just the right balance between quality ingredients, base materials – and an affordable price – the Twelve Monkeys juice quickly became the vape of choice for many, and have the awards to prove it. What makes 12 Monkeys juice different? Each of the Twelve Monkeys e-liquid is created through an artisanal process in their Canadian laboratory. Blends are carefully layered to create depth in the flavour profile, and they’re known for their tantalising recipes – especially the fruity tropical varieties which are hugely popular here in the UK. Part of the Twelve Monkeys juice process is to pre-steep the entire collection for a fortnight prior to bottling and sale. This process essentially allows the juice to settle their bottles, which keeps the e-liquid consistent and brings out all the flavours, so that you get the best quality juice possible. 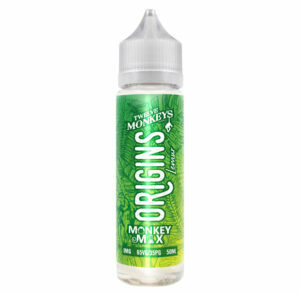 Plus, all 12 Monkeys juice flavours are high in VG (Vegetable Glycerin) with a minimum of 70% VG. For those new to the market, VG is naturally derived from vegetable oil, and gives a slighter sweeter, thicker vape that’s full of flavour. 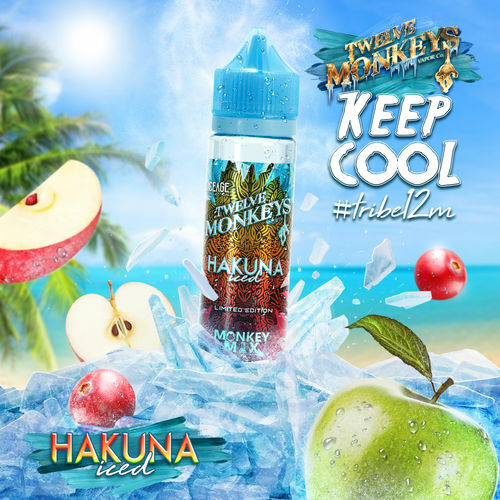 As each Twelve Monkeys e-juice is specifically tailored to balance the flavours in their creative blends, the VG/PG ratio will vary between the flavours, however the minimum VG won’t. For the optimum vaping results, Twelve Monkeys e-liquid works best using sub OHM tank, drippers or rebuildable tanks – which all have bigger liquid wicking holes (in the coil or atomizer). So make sure you check out specifics of the 12 Monkeys juice you’re interested in to see how best to enhance your vape. Or, hit us up via social on twitter or Facebook and we’ll help you out. Why is the Twelve Monkeys juice range so small? Their ethos is simple: quality over quantity. The team at 12 Monkeys believe in a premium product that’s carefully crafted in small batches, so you’ll always be happy with your choice. So, if you’re looking to take your vape to the next level, try one our range of Twelve Monkeys e-liquid today – you’ll thank us for it later. What flavour should I try first? While the best vape flavours will obviously come down to individual taste, a good place to start is with a recommendation – from your fellow vapers. And, as far as 12 Monkeys juice goes, the top choices are Mangabeys and Kanzi. Mangabeys is a slice of fruity heaven with primary flavours of pineapple, guava and mango, so you’ll feel just like you’re living the Caribbean island life, even in the depths London winter. Kanzi, on the other hand, is the ultimate candy flavoured treat for the sweet tooths amongst us. With a sugar-sweet combination of watermelon, strawberries and kiwi, it’s a fusion guaranteed to satiate that candy craving. Want more info about premium Twelve Monkeys juice? Contact us here, or send us a tweet.